The temperatures have been warm – but storms have pinwheeled over the Southern Ocean. The weather has been mercurial – sunny and then raining. Back and forth. When we arrived it was pouring. 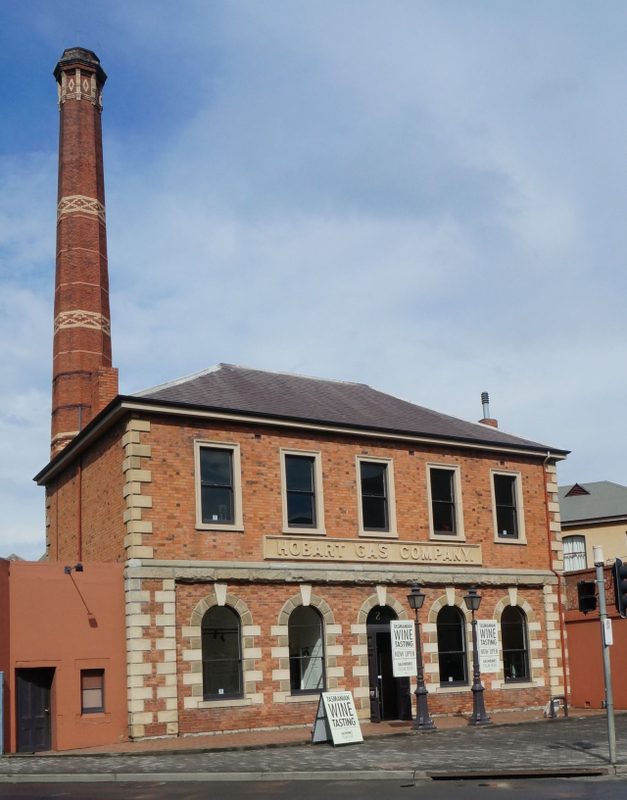 The skies cleared for our first sortie – the Cellar Door at the former Hobart Gas Company (the sandstone building is typical of Hobart’s sturdy municipal architecture). In this part of the world, cellar doors are wine tasting rooms. The wines of Tasmania are critically well regarded. Sharon excitedly looks forward to beginning our exploration of the wines of southern Australia. This first tasting of wines from the area around Hobart portends a “rewarding” exploration.